There are 3 cat videos tagged with tortoise. 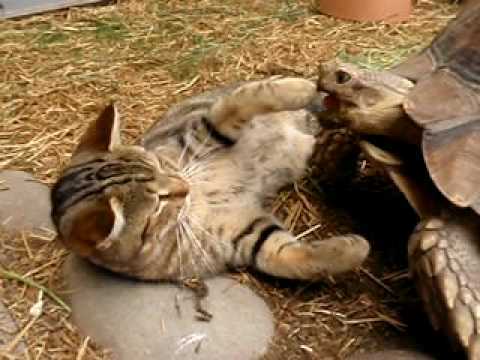 In this video by Heli-Chair, at Colorado Gators in Mosca, Colorado a Sulcata tortoise is curious about a cat and approaches it. The cat seems a bit resistant but eventually plops down to play. 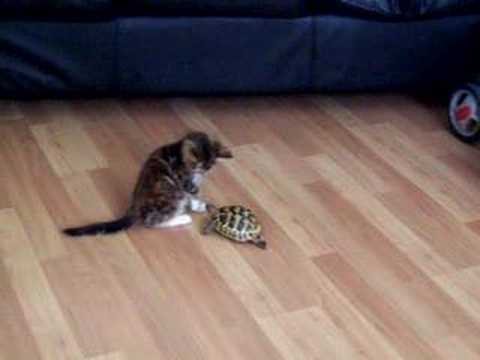 This little tortoise can't get enough of an adorable kitten and just won't leave her alone! 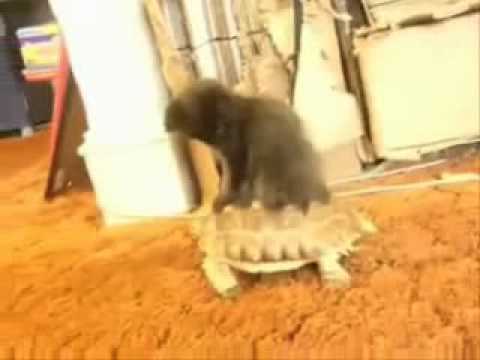 A kitten riding a tortoise to "Ridin'" by Chamillionaire!